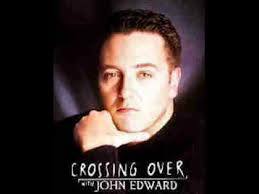 In 2000, psychic medium John Edward began to reach a wide audience through his popular television program, Crossing Over. The show ran for four seasons and was followed by a second show, Cross Country, which ran for three seasons. 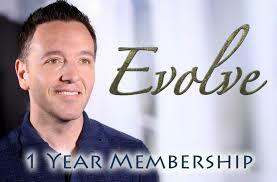 In 2007, John Edward launched an online community that developed into Evolve Interactive, which includes member readings as part of its weekly web series. Now, audiences everywhere can enjoy his programming through his new show on Facebook Watch. A new platform for shows on Facebook, Watch is a way for creators and publishers to create a series of videos around a common theme. Like his past programs, The Psychic John Edward is focused on connecting people to loved ones who have passed on. Episodes have featured twins healing together after their father’s passing, parents finding peace after the loss of their child, and a widow connecting with her husband. By subscribing to @thepsychicjohnedward, viewers can watch videos, find out when new episodes are airing, and hear about news such as live events. To learn more about Mr. Edward, visit his official website at JohnEdward.net. Well-known psychic and bestselling author John Edward has spent his career helping people connect with lost loved ones. In addition to sharing his psychic gifts with people through his online community, Evolve Interactive, and private readings, he hosts live shows throughout the country. This October, John Edward will be performing 11 shows in the United States before heading out on an Australian tour. The first event will be held in Omaha on October 4th, followed by three shows on consecutive nights in Denver; Portland, Oregon; and Seattle. He will be in Missoula on the 9th, Spokane on the 10th, Salt Lake City on the 11th, Indianapolis on the 13th, and Minneapolis/Bloomington on the 14th. He will then travel to the East Coast, where he will appear in Hasbrouck Heights, New Jersey, on October 17 and Rocky Hill, Connecticut, on October 18. These events are often followed by a special event for members of the Evolve community. Tickets are available at www.johnedward.net/events. A psychic medium and the star of the television shows Crossing Over and Cross Country, John Edward has made an impact on fans that has led to media appearances on shows such as Oprah and Dr. Phil. He has been featured in articles in The New York Times, Entertainment Weekly, and many other publications. 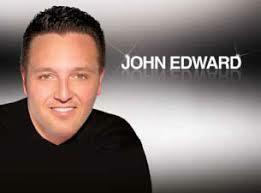 John Edward has shared his gift with people in person through multiple tours in the United States and internationally. This November, he will embark on an Australian tour, bringing his live show to people all over the continent. The tour kicks off in Sydney on October 25th, followed by two shows in Adelaide/Norwood on November 1st and 2nd and one night in Perth on the 4th and in Melbourne/Southbank on the 8th. He will finish the tour with two nights in Brisbane/Chandler on November 10th and 11th, followed by a final event in Cairns on the 13th. The live events are open to all, but members of the Evolve online community are selected at random to receive free tickets. Tickets are available through www.johnedward.net/events. In Adelaide, he had a man named Craig in the audience at his show. Craig had been convicted of arson and was imprisoned for seven years as a result. At that show, an energy came through that was seeking a person who had been charged for arson after setting a house on fire. Although he didn’t speak up at the event, Craig believes the energy was searching for him, though he doesn’t know how the energy could have been. A woman’s mother attended another show in 2017 and also didn’t speak up when there was a message for her. According to the message, the recipient was supposed to be the grandmother of Rose. The woman who shared the story has a daughter named Rose and was supposed to attend the event with her mother. However, Rose became sick and was unable to come. Finally, a woman at the 2018 event in Reno experienced psychic amnesia, a topic that was discussed during the show. While at the show, the audience was asked if anyone had the nickname of “Scrunchy.” A few people spoke up with stories of similar nicknames, but the message was dismissed since they weren’t the true recipients. Later on in the session, the woman at the show remembered that her nickname was “Chunchy Bean” as a kid. But she didn’t speak up since the show had already moved on to a different subject. For more information, visit www.johnedward.net or view Mr. Edward’s YouTube channel at www.youtube.com/user/psychicmediumje/videos. For more than three decades, John Edward has helped individuals communicate with loved ones who have crossed over and predict future events through his psychic abilities. In addition to working as a medium, John Edward is an experienced author who has written such books as Crossing Over: The Stories Behind the Stories. Written with humor, poise, and candidness, a style that is extremely similar to his television show and personal appearances, the book takes readers along the author’s journey to fame and success. During that journey, readers learn more about the controversial issues that the author faced as a psychic medium. They also learn about the people who motivated him to continue along this path and about his discovery of what his work means. Among the main features of Crossing Over are the stories of the author’s own bruised ego and vanities that came up during his career. While the personal stories of helping people find peace after losing their loved ones are compelling, it’s these behind-the-scenes moments that add a sense of realism and honesty to the book. An accomplished lecturer, medium, and author, John Edward has introduced psychic phenomena with an honest and fresh attitude for more than 30 years. Dedicated to reaching as many people as possible, John Edward maintains an online community known as Evolve and regularly hosts live events around the world. After several months of touring in the United States, Mr. Edward will visit the United Kingdom on September 1, 2018, and remain on tour there until September 16. During this time, he has scheduled events in Birmingham, Manchester, London, Edinburgh, Torquay, and Liverpool. There is also a live show scheduled in Dublin, Ireland, on September 18 before events return to the United States on September 27. During each event, Mr. Edward will teach audiences about psychic phenomena and give them a chance to meet and connect with other believers and fans like themselves. Further, these shows have interactive portions that give attendees the chance to communicate with loved ones who have passed to the other side. A psychic medium who has guided Evolve events for two decades, John Edward connects with loved ones who are on the Other Side and conveys messages to those still in the physical realm. 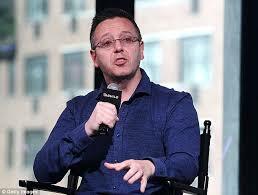 In an episode of Cross Country with John Edward, he communicated with the loved ones of a number of audience members, including several brothers. Communicating with a group of family members, not all of whom were present, he received an important message of acceptance. In particular, he was okay with a “little swan,” one of the brothers who marched to his own drum and had taken a path different from the others. This turned out to be the older brother. At the same studio reading, Edward heard another voice from a “father figure” associated with the family, and this turned out to be an uncle. He began by asking about whether he collected cars, and it turned out that it was a next door neighbor who collected and restored cars and had taken on a role as father figure upon the father’s early passing. He then suddenly asked a question as to whether suicide had been involved in someone’s passing, or a tragic death brought about by another’s actions. This did not garner an immediate response but, as the man Edward talked with in the studio described it, “a lot of things he said didn’t make sense until I called up my brother.” Ultimately, it was the tragedy of the passing of their father, much to soon, that this likely referred to. 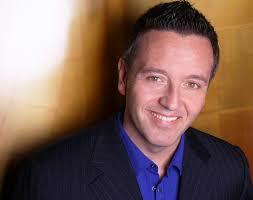 Internationally renowned psychic medium John Edward was born and raised in Long Island, New York. Demonstrating psychic abilities in his childhood, his skill flourished under the supportive environment provided by his family. After a meeting with psychic Lydia Clar, John Edward embarked on a journey to teach people and to reunite individuals with their loved ones who have passed on. 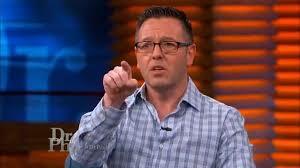 Though currently residing with his family in Long Island, John Edward travels all across the country for events. He holds private readings for groups of varying sizes, live group events that include questions and answers and audience readings, and seminars that include a lecture into psychic phenomena. An accomplished author and lecturer, Edward participates in speaking engagements to interact with his followers and to educate individuals. Encouraging interested people to learn about parapsychology and metaphysics, he believes individuals can lead a more intuitive and empowered life. In his book, Infinite Quest, he references the numerous practitioners he has met throughout his career over the past 25 years. Additionally, he addresses the importance of developing a psychic sense.